Metal Gear Solid 2: Sons of Liberty is probably the most divisive installment in the Metal Gear franchise. However, this division has been focused on one sole issue for the past 18 years; chiefly, Raiden’s placement as chief protagonist. After all, fans of the original game had reason to be annoyed; what had been shown from the game previously showed Solid Snake as the protagonist. When the game finally released, though, fans were disappointed to see that all of the marketing materials featuring Solid Snake came from the opening level of Metal Gear Solid 2: Sons of Liberty. 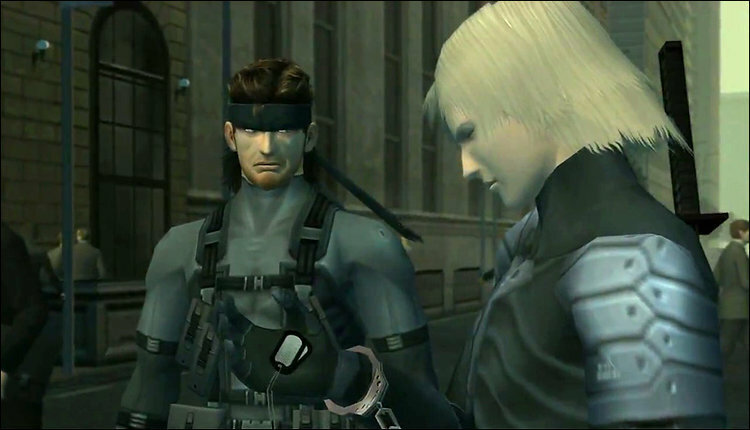 The rest of the game featured newcomer Raiden as the protagonist with Solid Snake serving as an NPC who helped out from time to time. The game goes on to tell the story of a shadowy organisation called The Patriots who control the population through manipulation. As always, this manipulation is done on unwitting participants who are completely unaware of it. It also looks at the likes of identity and belief in authority as this manipulation is made apparent throughout the central plot. Throughout the game, players bring Raiden through a journey of figuring out who to believe and trust, while also going through a journey of self-discovery. While this may be seen as an analogy to various world governments and institutions, the analogy may also be more relevant to games than previously thought. It also may have been a bit more on the nose than many conspiracy theorists might have thought. As we’ve mentioned already, the game tells the story of an organisation that manipulates people into doing something all while the population is unaware of said manipulation. In Metal Gear Solid 2 it’s The Patriots who have been involved in manipulating various countries for their own bidding. They do this through the use of dis-information and in many cases mis-information. However, this could also be compared to Konami’s use of marketing materials to suggest that Solid Snake was the protagonist. Snake wasn’t too keen on being replaced judging by that side-eye. Source. Once Raiden is introduced, players will struggle with this new protagonist, similar to how Raiden must struggle with his own identity throughout the game. Through this slight manipulation in the build-up to release, Metal Gear Solid creator Hideo Kojima were able to put players in Raiden’s shoes as both player and character battle with coming to terms with the identity that has been ripped from them and replaced, seemingly out of nowhere. In-game, this is done when Raiden finds out he’s been manipulated by The Patriots and trained to be something he doesn’t want to be. In real life, it’s when players have Raiden exchanged for Solid Snake. Seen through this lens, the protagonist-swap makes a lot more sense for the overall game. As we mentioned earlier, critics’ main issue with Metal Gear Solid 2: Sons of Liberty was this sole issue while ignoring many of the improvements that the game made from its predecessor. Removing the Solid Snake bias tears away many of the misconceptions that people have about the game. Looking at it from a slightly different perspective puts the game in a whole different light; Metal Gear Solid 2: Sons of Liberty may not be the best game in the franchise, but it’s definitely a whole lot better than many gamers remember.